For today we’ve prepared an interview with a handsome German male who spends his days with several females. I would say he is a lucky one, but apparantly the ladies can be a pain in the bum with all their chit-chatting. Worf: Nice name for your gang! Tell me more about your human. Was it difficult to train her to respond promptly to your needs? Worf: Yes, you are right. 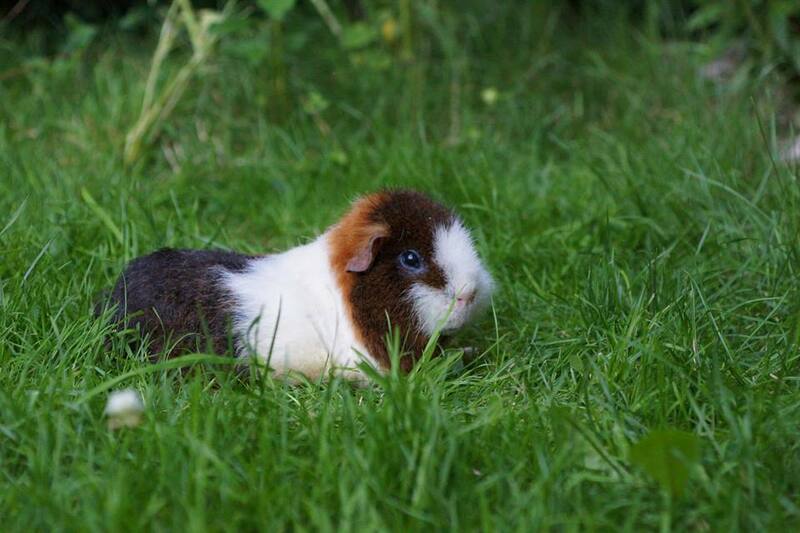 My humans still consider me “the little one” although I gained weight and I’m bigger than the two white ones… But back to you! 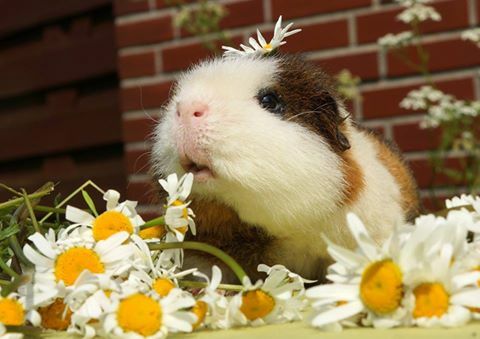 You are living the dream of any guinea pig male: living with a harem. How is it like to live with four ladies? Seppo: Sometimes it’s a bit stressful because all of my ladies want to have time with me without the others. I’m never alone in my house. 😉 Apart from that I love the life with them. 🙂 I never want to be alone. 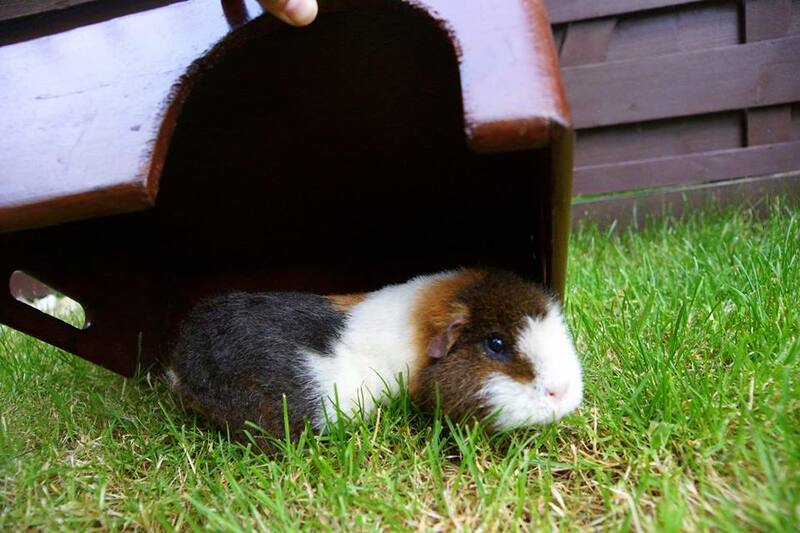 Seppo: I was neutered in the cavy shelter. To be honest, yes, first I was shocked. But they said: Either you will be neutered and get some ladies or you will join a group of piggy boys. Urgs, boy group… No, I have choosen the ladies. 😉 Furthermore I already had two little babys with my sister at that time and so I agreed to be neutered. 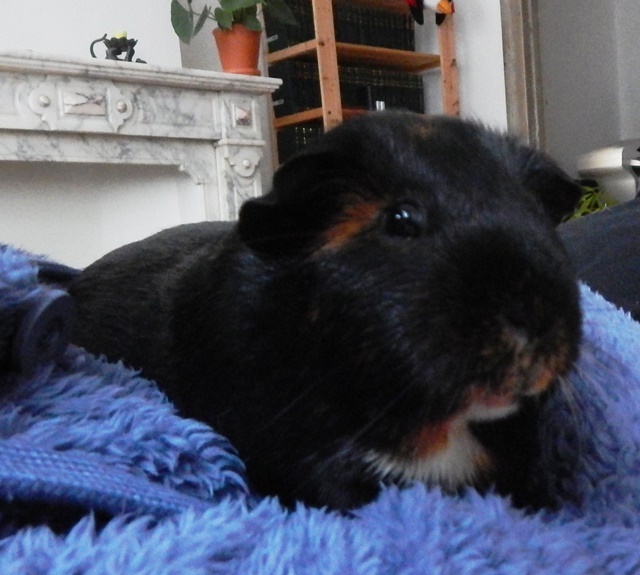 Worf: Let’s talk about very important things for a guinea pig. What is your favorite food? And activity? Worf: Well you have quite a life! In the end, before you go back to your meadow and your ladies, tell me something funny about you.